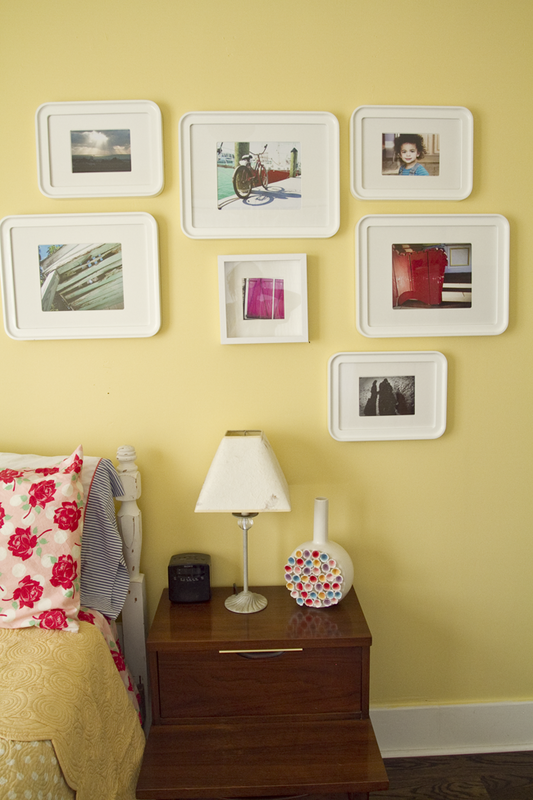 Black and White and Loved All Over: Stuff I Love: Our Guest Bedroom Makeover! 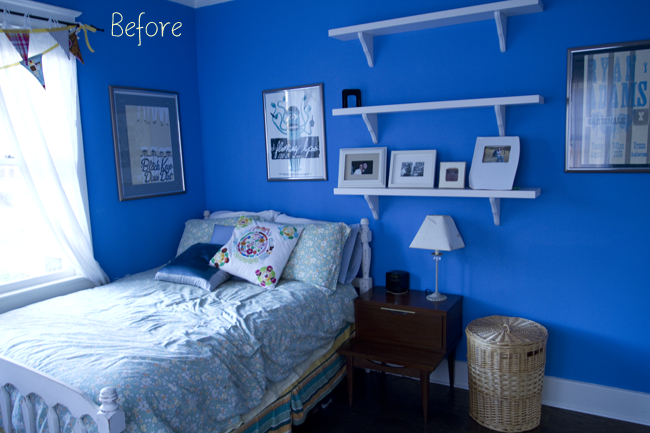 Stuff I Love: Our Guest Bedroom Makeover! 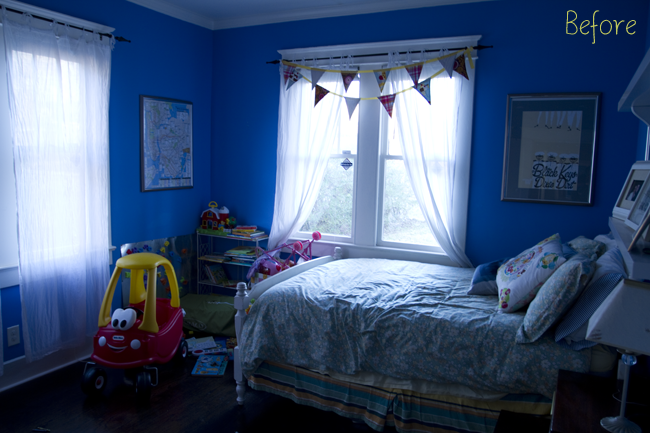 Before: Smurf blue walls, towering pile of toys that never got played with, bedding I'd had since sophomore year of college. Painted the walls with Behr's paint and primer in one, a color called "Pismo Dunes." Removed the shelves we weren't using. Bought new bedding from House 8810. 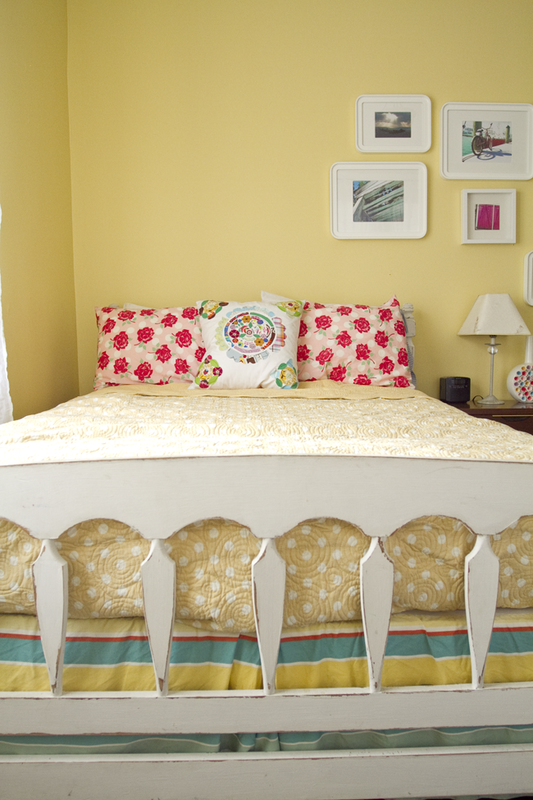 Pretty sure this was my bargain of the decade: The pretty graphic sheets were only $15 (no longer on the site) and the yellow quilt was $25 (here). 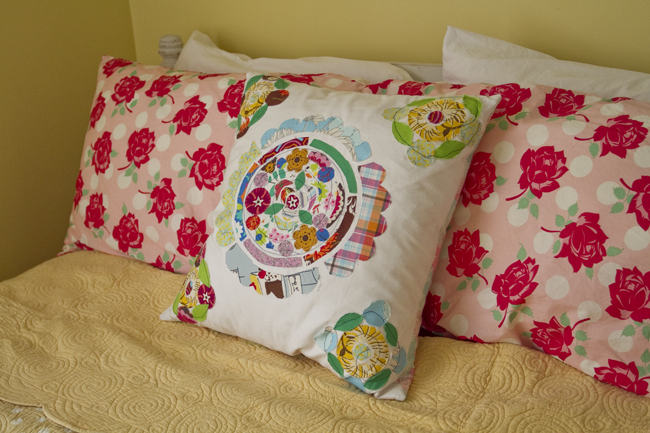 I ordered one of these quilts for our bed upstairs, too. The deal was just too great, and the quality is super nice. Moved all the toys upstairs to Tessa's room. 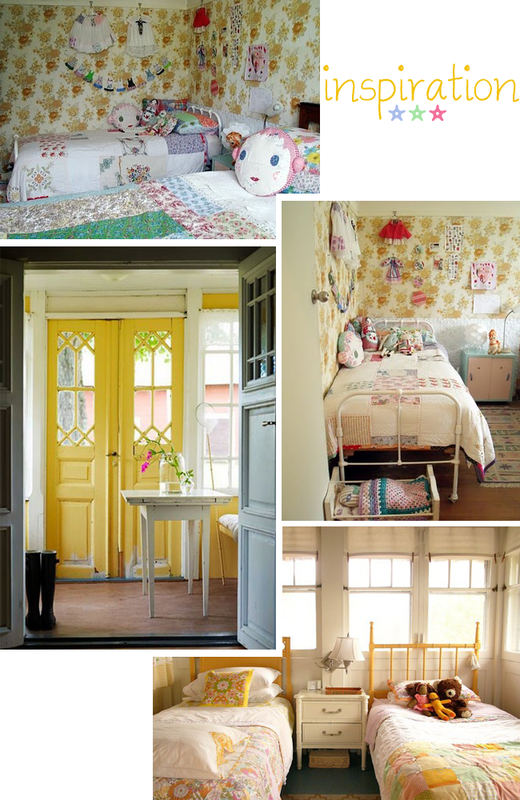 Still wanted: Adorable lamp and rug, a beat-up door to lean against the wall opposite the bed and time to finish my Giant Vintage Star Quilt. that looks great! i can't believe how much of a difference just the paint makes! I love all of this, yellow is my favorite color! That bedding is lovely!!! love! yellow is such a wonderful color. well done ellen! love the way it turned out. 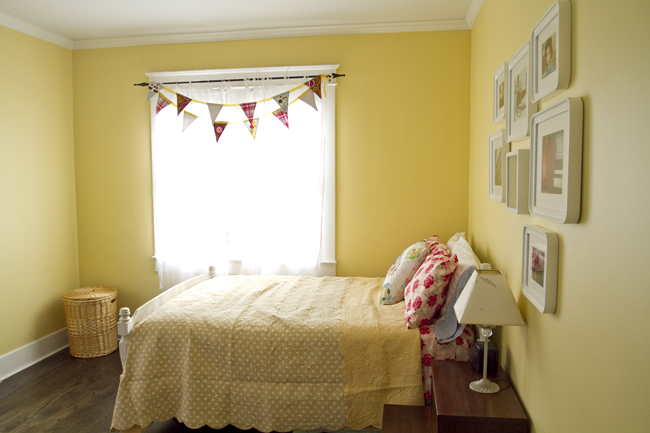 looks like a room from a cute little bed and breakfast. i'd love to be a house guest!